"Looking to the future, honoring the past"
Ashkum is a town of many oddities, this double-front ended Dodge Grand Caravan is one of the many staples of this town that makes it unique and a constant destination to railfan. 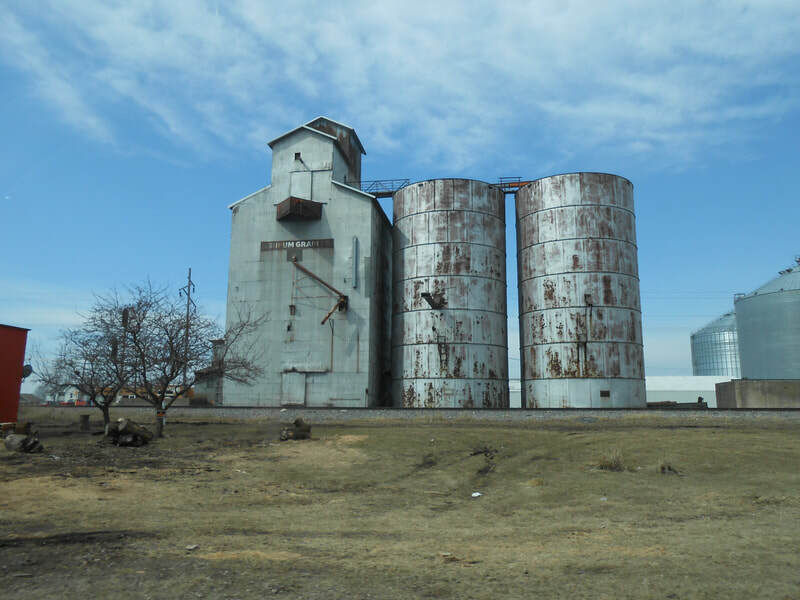 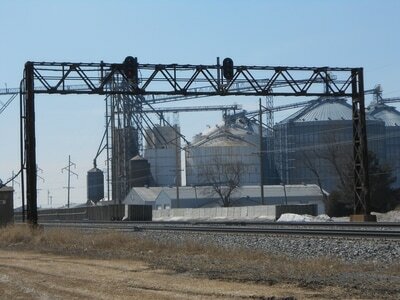 Ashkum is a farming railroad town which features a large grain elevator and silo complex. It currently is one of the few areas where you can still see a standing Illinois Central switch tower with signal gantry. 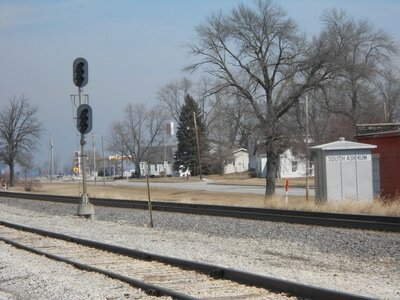 Ashkum also still has its old depot around with a historic downtown. 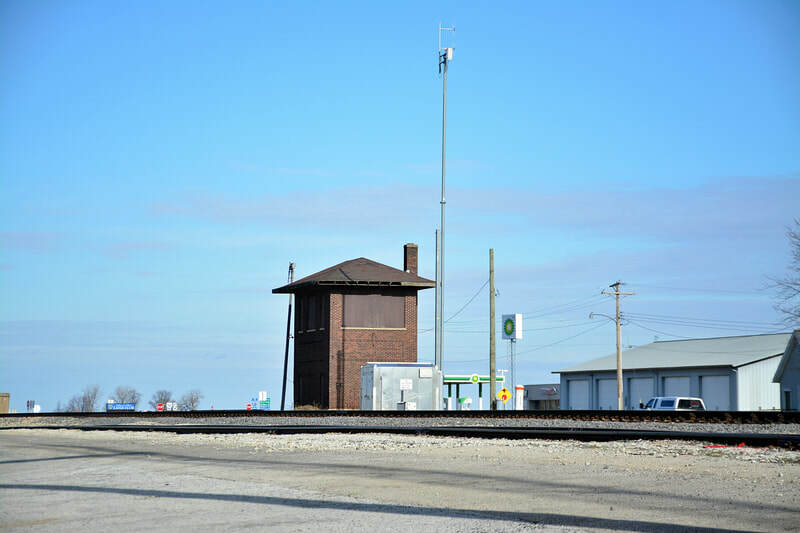 The depot was restored sometime in the 1980s and has since been untouched, it follows a similar style as most IC depots in small towns. 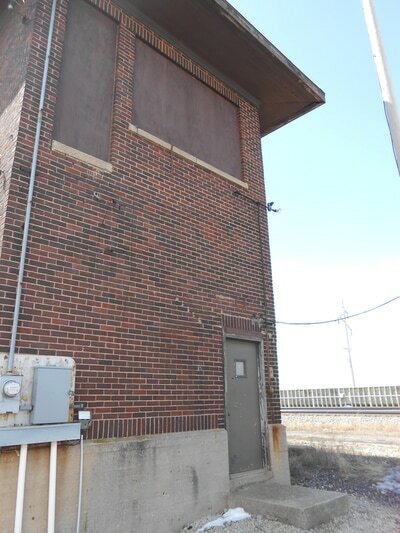 The Depot is original from as far as I can find. 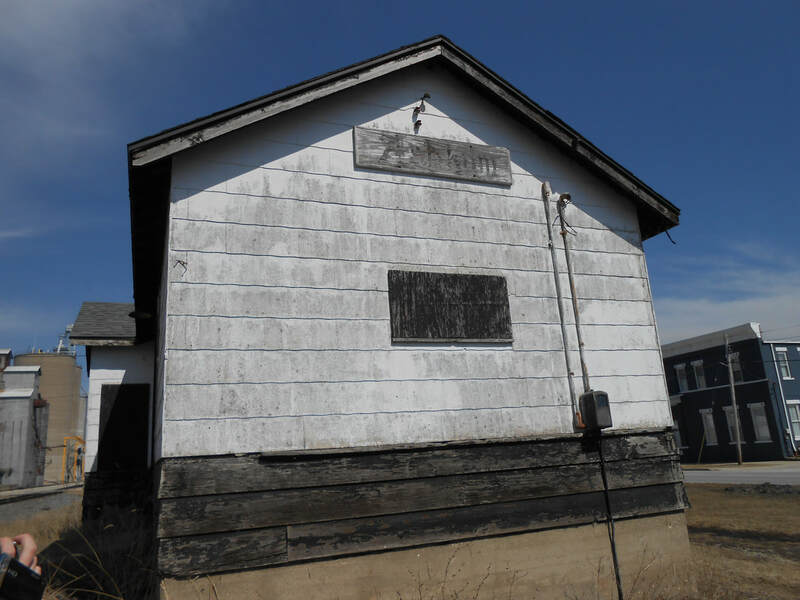 The building was cosmetically restored sometime in the 1980s with little work done since then. 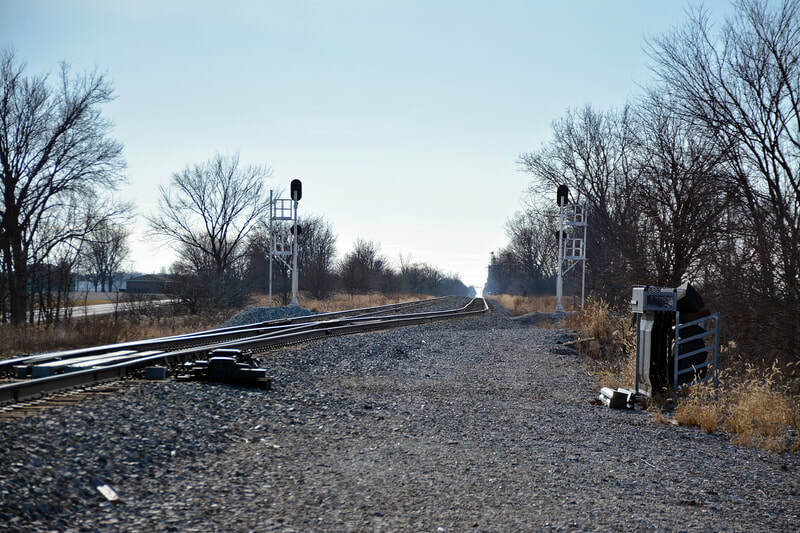 There has been talk of turning it into something, but usually this doesn't progress into anything. 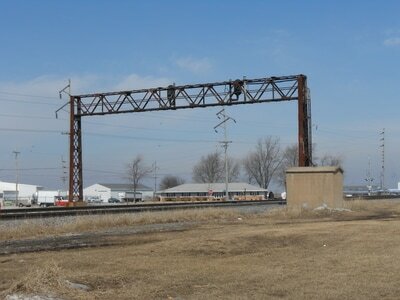 The depot remains in its original location along the IC mainline immediately south of the Main St. grade crossing. 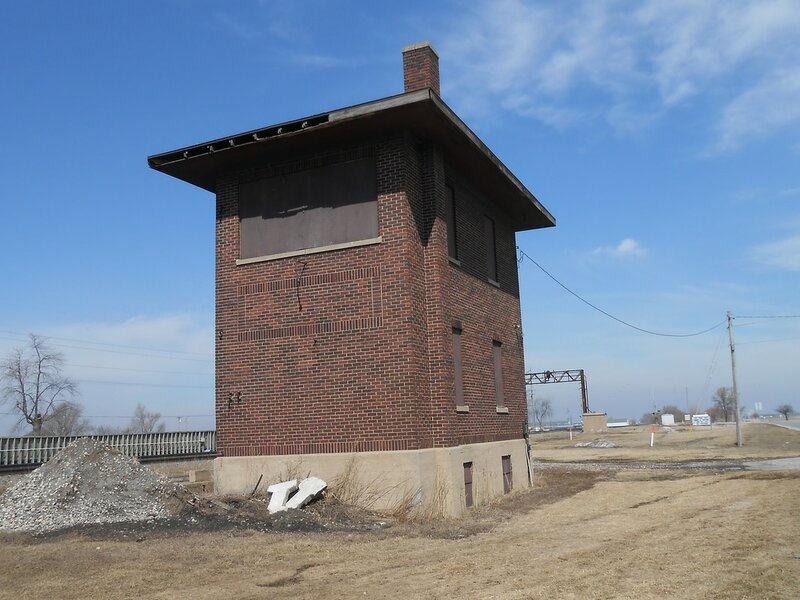 Ashkum tower was built to originally to house a signal and switch operator which was required when there was still two mainlines and the siding. 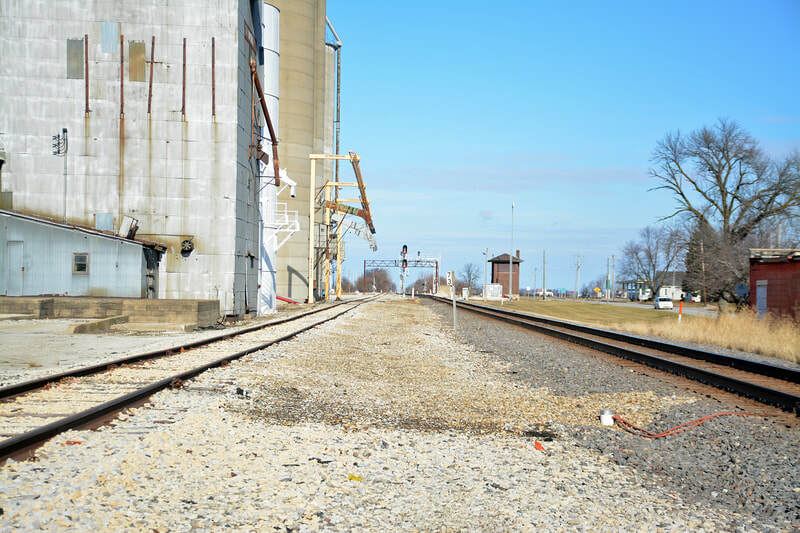 Now Ashkum is where the Ashkum siding comes to an end. 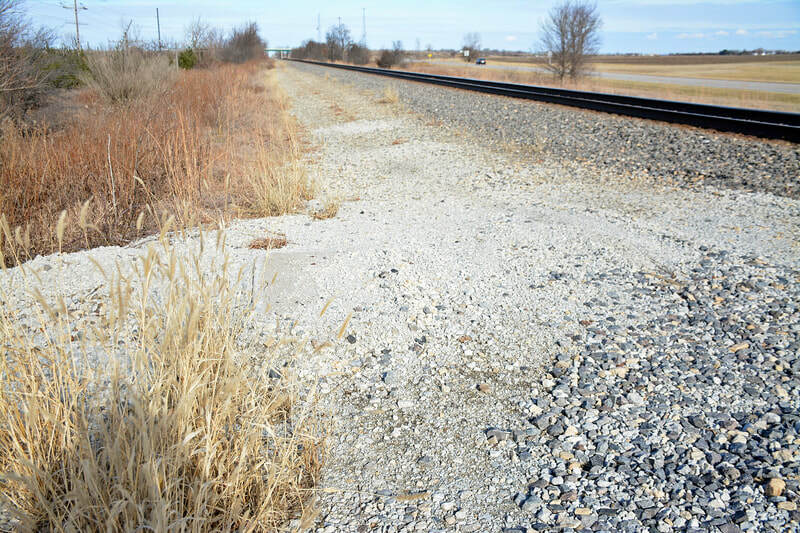 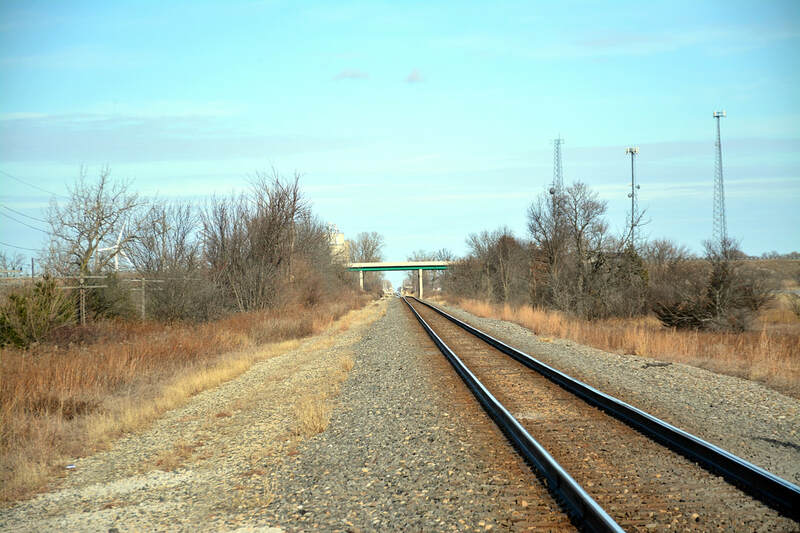 The siding runs north and cut back to single main just south of Clifton, IL. 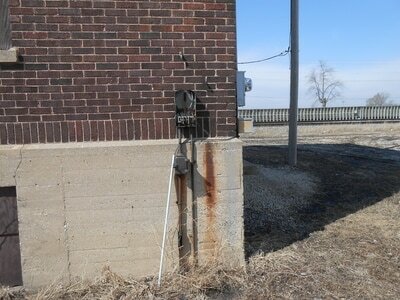 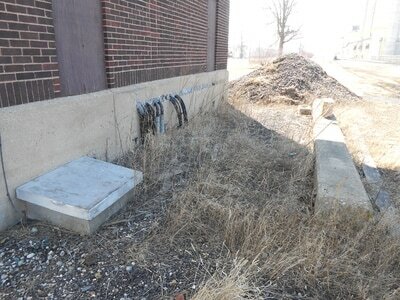 There is a switch south of downtown where the track lead to the elevators cuts from the main. 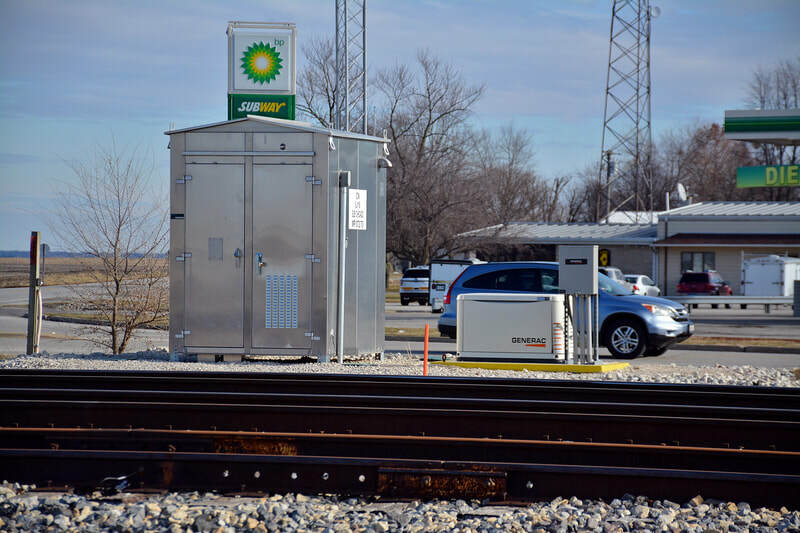 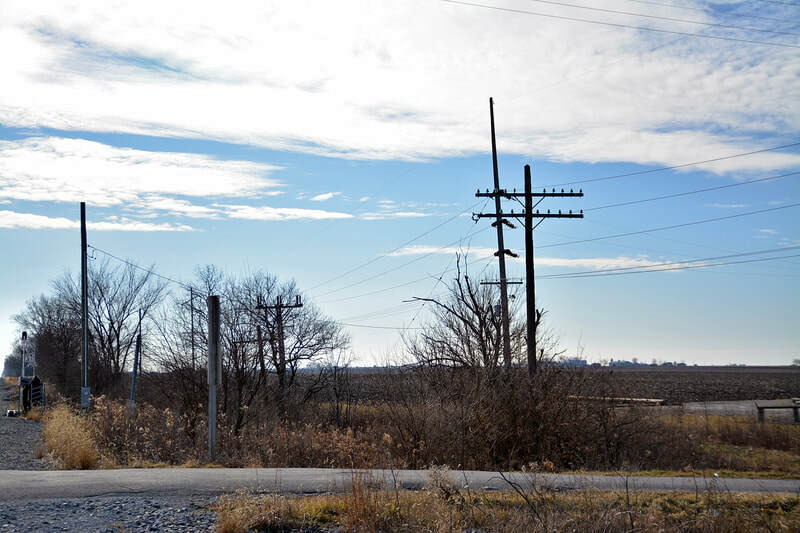 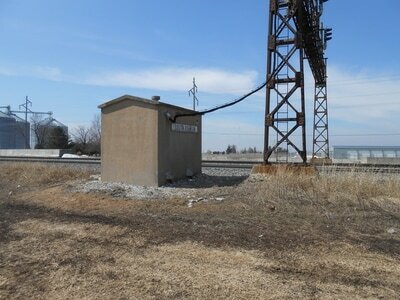 The overall idea is this is South Ashkum and the switch north of town, closer physically to Clifton, IL is known as North Ashkum. 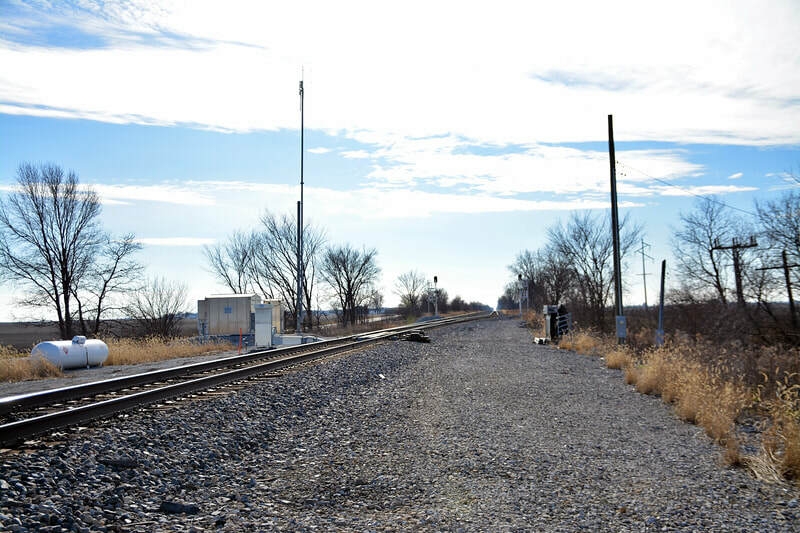 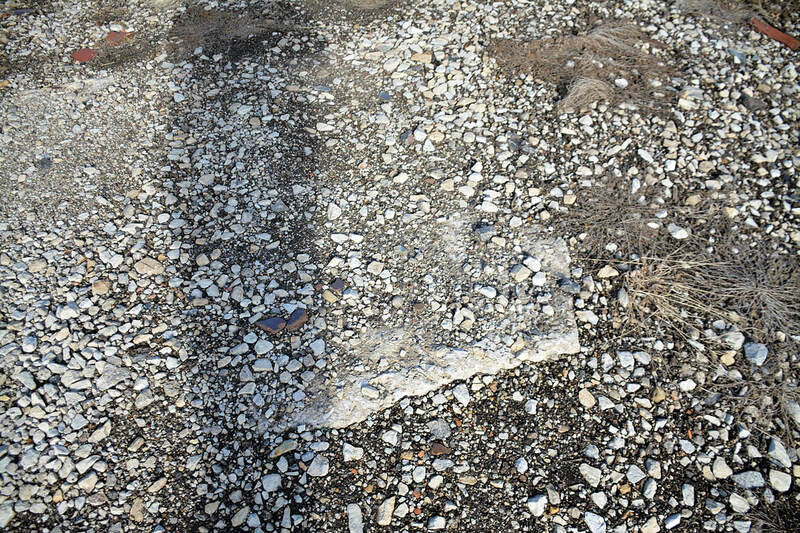 There is one switchback to a spur that runs off to a gas tanker facility that is no longer rail served. 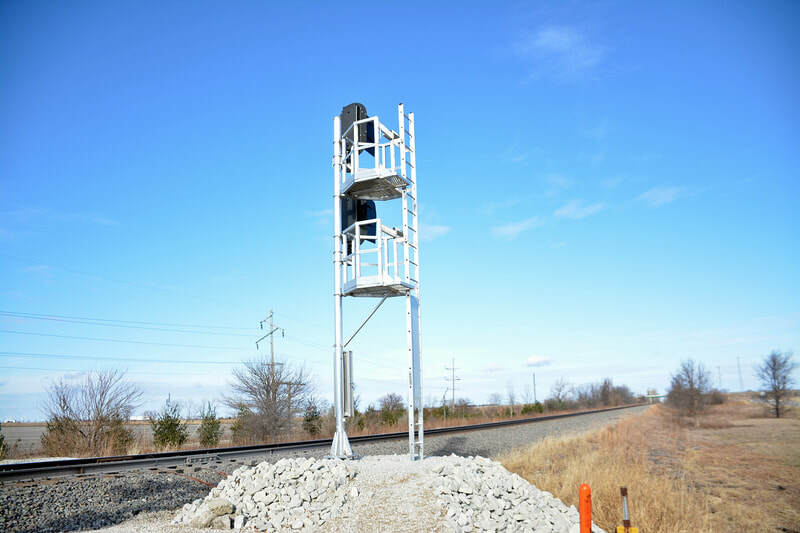 In the summer of 2018 CN executed its plan to upgrade signals along the line including North and South Ashkum. 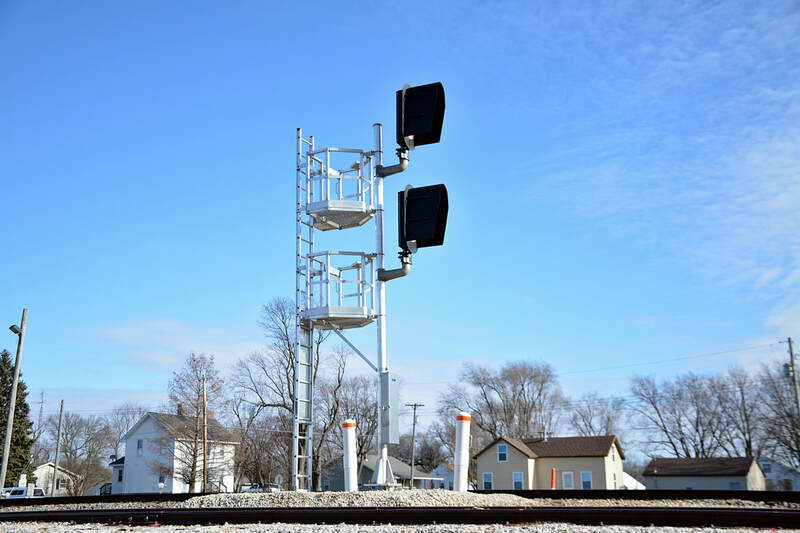 The gantry was replaced along with relays, switch heaters, crossings and more. 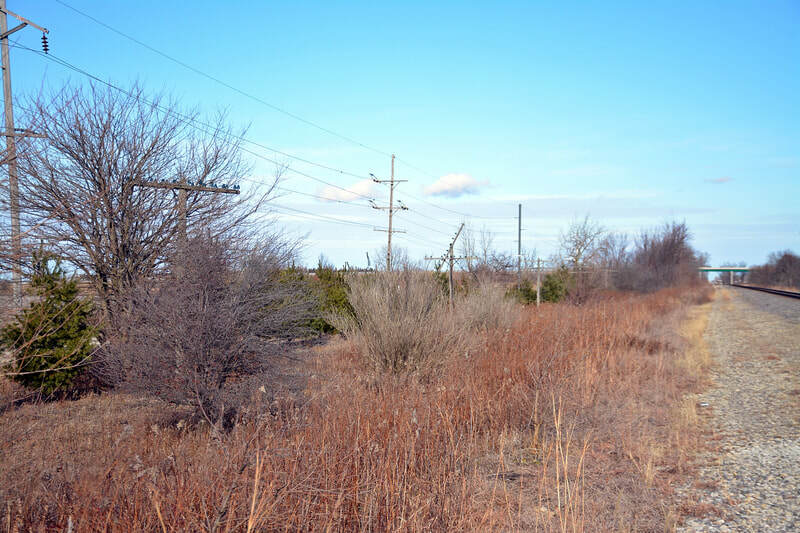 Below are original photos followed by updated photos. 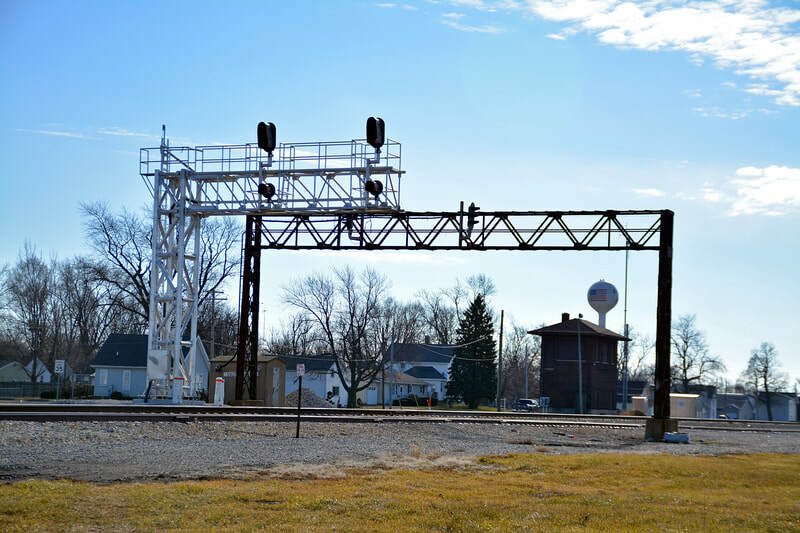 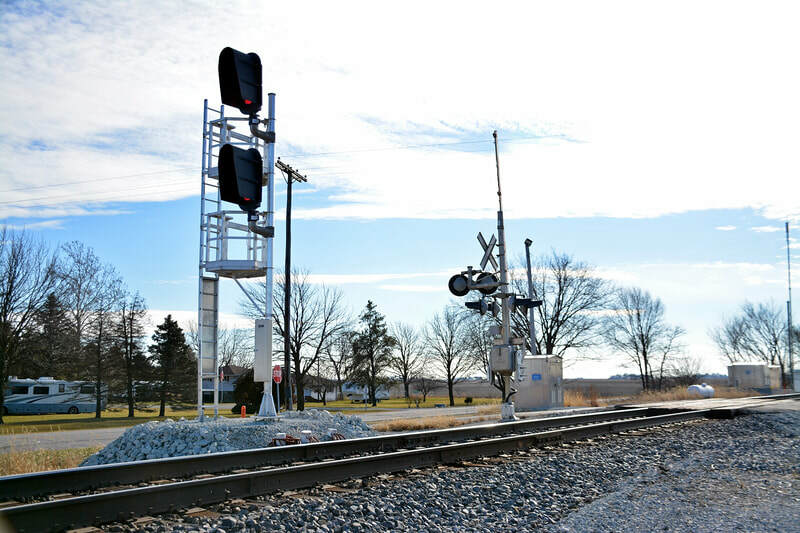 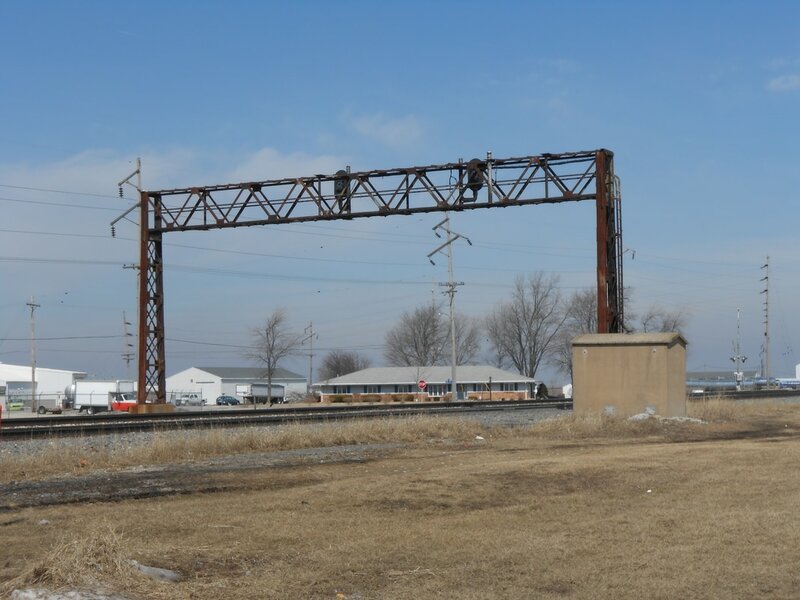 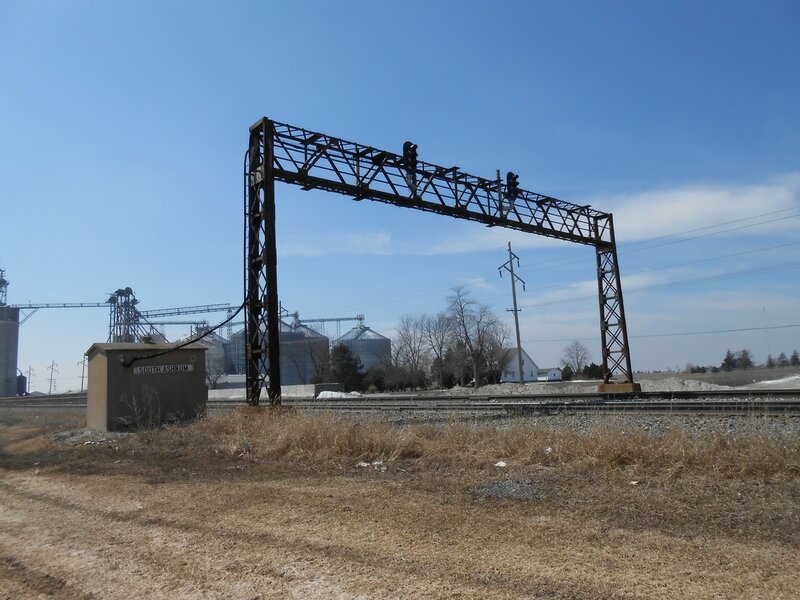 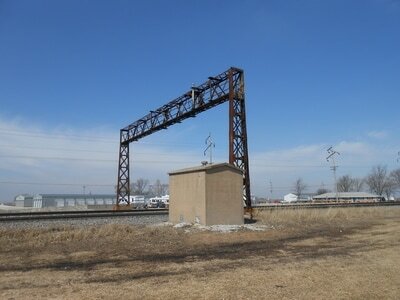 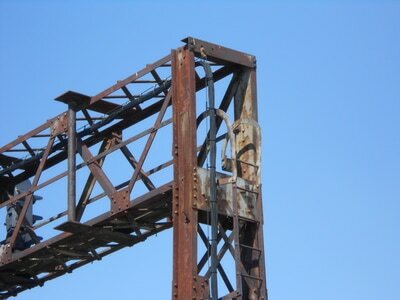 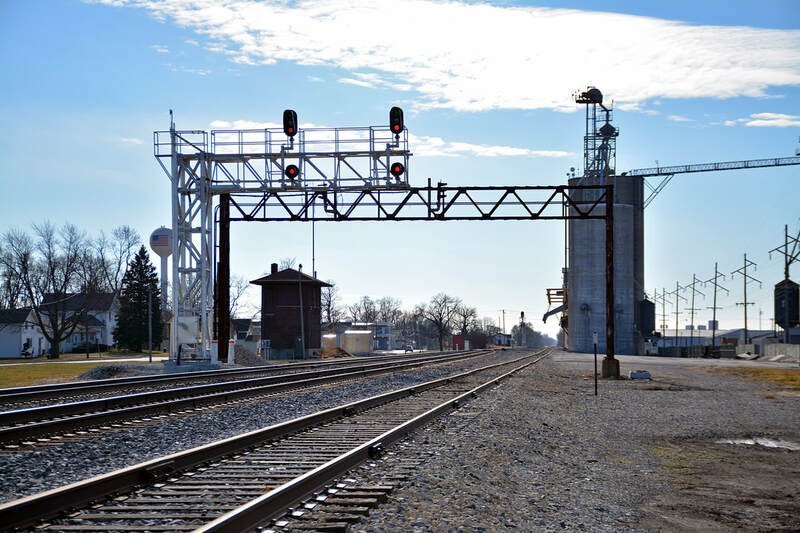 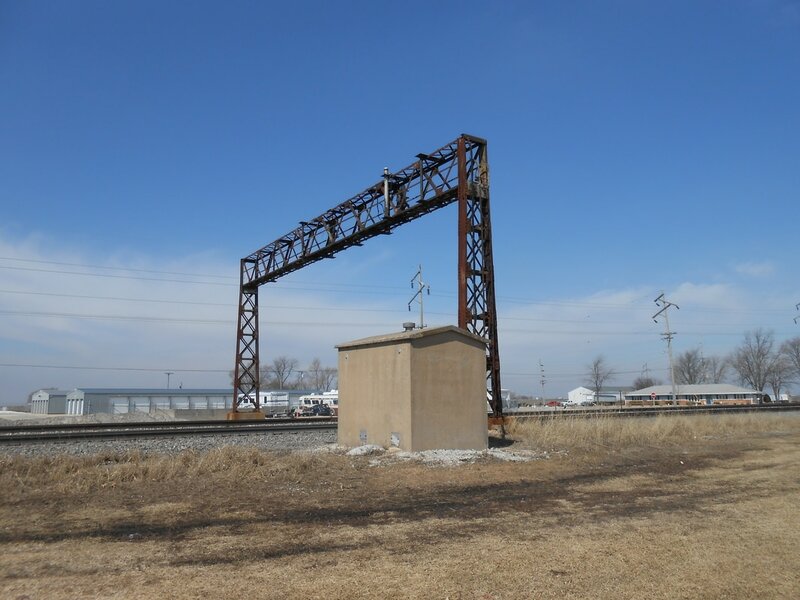 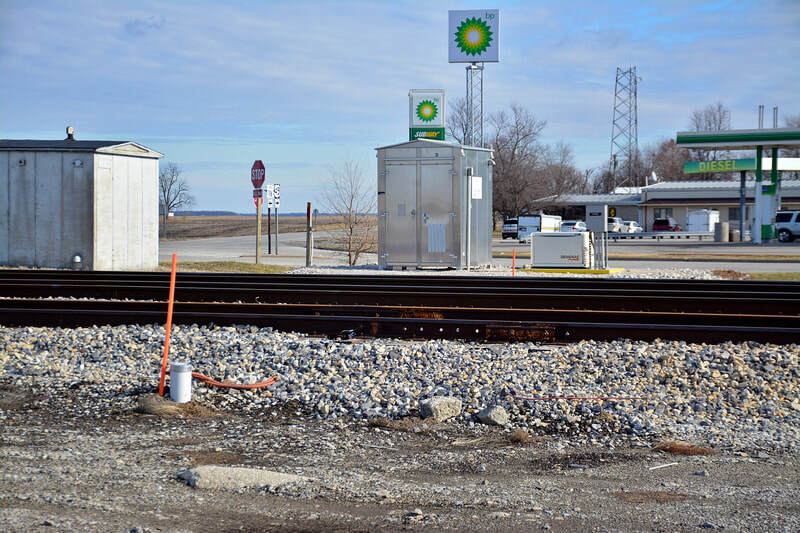 Otto, IL where CN had moved for wayside signals to replace gantry signals. 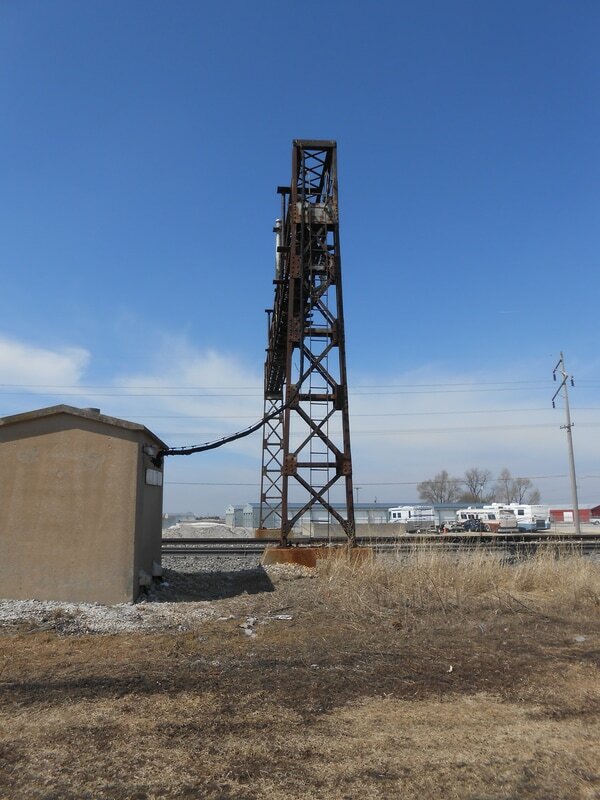 This will show the "as-built" appearance of this tower. Note IC used similar designs for other brick towers including Otto, IL. This is where the siding meets the mainline to the north of Ashkum. 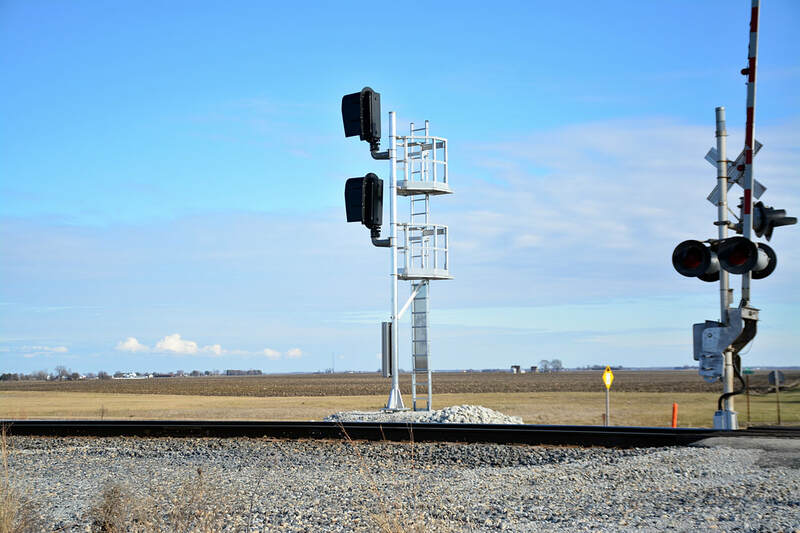 Original signals have been replaced for PTC equipment.